Mulligan: All right, Charlie; that the joint? Toothpick Charlie: I already told you. Mulligan: That's very refreshing; what's the password? Toothpick Charlie: "I've come to Grandma's funeral." Here's your admission card. 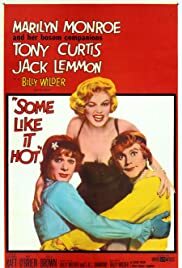 Q: Is "Some Like it Hot" based on a book? Q: What does the title mean? What do some like "hot"? Q: What songs does Marilyn Monroe sing? Some people still say this is the greatest comedy ever made in Hollywood. 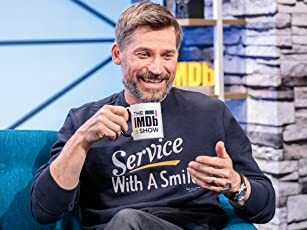 Who am I to argue? Even after 45 years, it's still very funny and not the least bit dated. It is one of the true classics in the history of film. I know one thing: Marilyn Monroe never looked hotter! The film is a wonderful combination of comedy, action, suspense and romance with great old-time gangster scenes played out first in Chicago and then in Miami Beach. George Raft and Nehimiah Persoff are just great as gangsters. The stars, though, are Monroe, Jack Lemmon and Tony Curtis but you can also enjoy performances from famous known actors like Pat O'Brien and Joe E. Brown. The action scenes are in the beginning and end. In the middle, the bulk of the film, is the main story featuring comedy and romance. Lemmon has the best lines in the film and his facial expressions alone evoke lots of laughter. This film is so famous that there is no need going into detail, but for some younger person reading this, don't worry about this being an old-fashioned, boring black-and-white film your parents or grandparents liked but you would find boring. You'll have fun watching this, too, I guarantee it. 119 of 155 people found this review helpful. Was this review helpful to you?